Mexico topped the CONCACAF standings with Costa Rica in second place while the third automatic spot went to Panama. In one of the biggest upsets of this qualifying cycle, the United States failed to reach the World Cup for the first time in more than 30 years and now faces some major questions over the progress of the sport in the country. A 1-2 defeat to an already eliminated Trinidad and Tobago meant the US finished an embarrassing fifth out of six teams in its CONCACAF qualifying group. Mexico topped the standings with Costa Rica in second place while the third automatic spot went to Panama. The Central American nation reached the World Cup for the first time in its history thanks to a last gasp 2-1 win over Costa Rica, while Honduras ended fourth and will play Australia over two legs for a place in Russia next year. The impact of the US' absence will be felt at broadcaster Fox, which takes over coverage of the World Cup from ESPN starting with the 2018 tournament and a host of sponsors, such as Nike, which had been hoping for plenty of World Cup exposure. But on a deeper level, the outcome raises a host of questions about whether American soccer truly is progressing. The country did not feature in any World Cup from 1954 to 1986, but after making it to Italia 90 and then hosting the tournament itself in 1994, the game appeared to be on the rise. The US reached the quarterfinals in 2002 and more recently impressed in Brazil four years ago by reaching the second round, finishing above Portugal in their group. On the domestic front, Major League Soccer, which began in 1996, has produced a stable league for the first time in North America and has grown to 22 teams, many playing in new soccer specific stadiums. 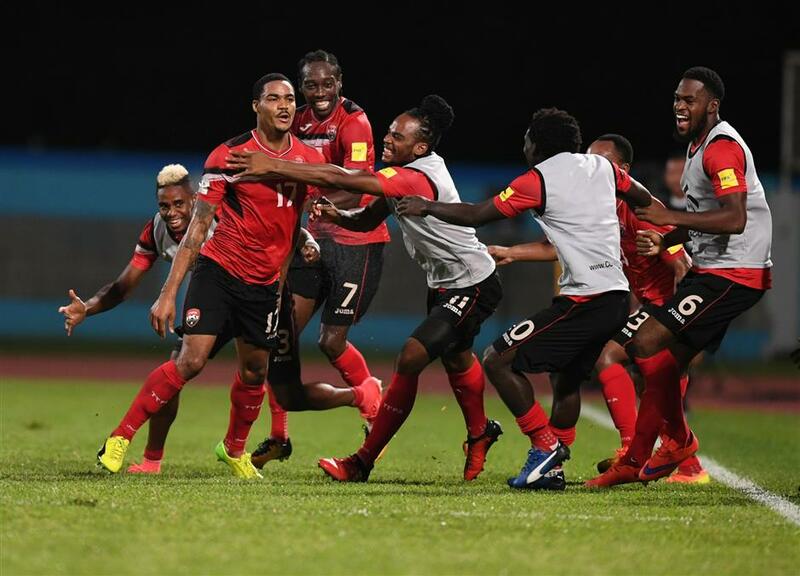 Trinidad and Tobago's Alvin Jones (left) celebrates with teammates after scoring against the United States during their World Cup qualifier in Couva, Trinidad and Tobago, on October 10, 2017. The hosts won 2-1. "This is an utter embarrassment, with the amount of money that is in Major League Soccer and in this sport, you can't get a draw against Trinidad? You don't deserve to go the World Cup" said former US striker Taylor Twellman, now a television pundit for ESPN. "If this failure does not wake up everyone from US Soccer (Federation) to Major League Soccer to 'pay to play' (youth soccer), to broadcasters, everything, then we are all insane." "That should never have happened with the billion dollars plus that is going into MLS and youth soccer development but it did and every single person should look themselves in the mirror," he added. But in the immediate aftermath of the defeat coach Bruce Arena, who was brought back in November last year following the firing of German Juergen Klinsmann, rejected the idea that major change was needed. "There's nothing wrong with what we're doing," Arena was quoted as saying by Sports Illustrated (www.si.com). "Certainly, I think if our league continues to grow it benefits the national team program. We have some good players coming up. Nothing has to change. "To make any kind of crazy changes I think would be foolish. We're building a consistent professional league. We have players playing abroad of a certain quality. There's enough there. There's no excuses for us to not qualify for the World Cup." US Soccer President Sunil Gulati, who is expected to face a challenge to his leadership with two potential candidates having expressed an interest in standing against him in the next elections, also questioned the need for change. "You don't make wholesale changes based on the ball being two inches wide or two inches in. We'll look at everything, obviously, and all our programs, both the national team and all the development stuff," he said. "But we've got a lot of pieces in place that we think are very good and have been coming along. Tonight obviously wasn't what we hoped for."